Importance: Valley of shepherds and nearest place to Amrnath Shrine. 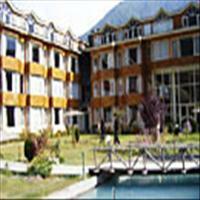 Pahalgam is a small village near Srinagar. Fr from maddening crowd where modernity has not encroached upon the naive villagers and the natural beauty has not been commercialized as yet. 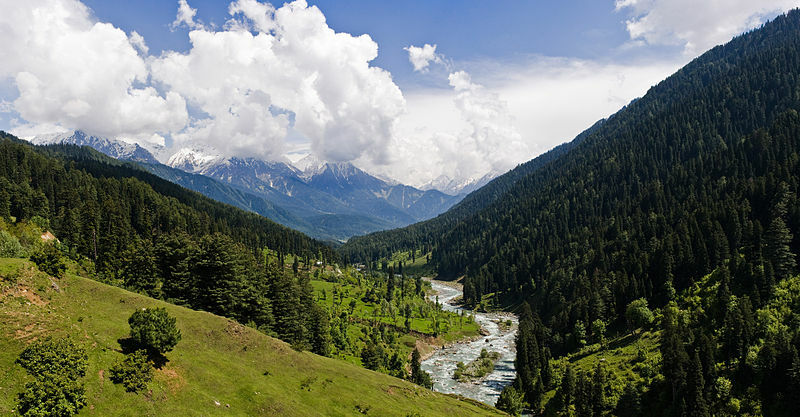 The beauty of Pahalgam lies in its proximity to true nature. Here Nature springs up with beautiful surprises with open arms. Pahalgam also enjoys the most pleasant weather throughout the year though it is very cold in winter. <br />It is nestled among the soaring mountains and huge glaciers and on the confluence of Rivers, Lidder and Sheshnaag. After a vast meadow and invariable gushing ice water stream is seen with tribal people and shepherds walking lazily. 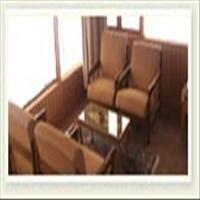 <br />Pahalgam is gaining popularity as a premium hill resort offering beautiful treks, camping sites and adventure sports. 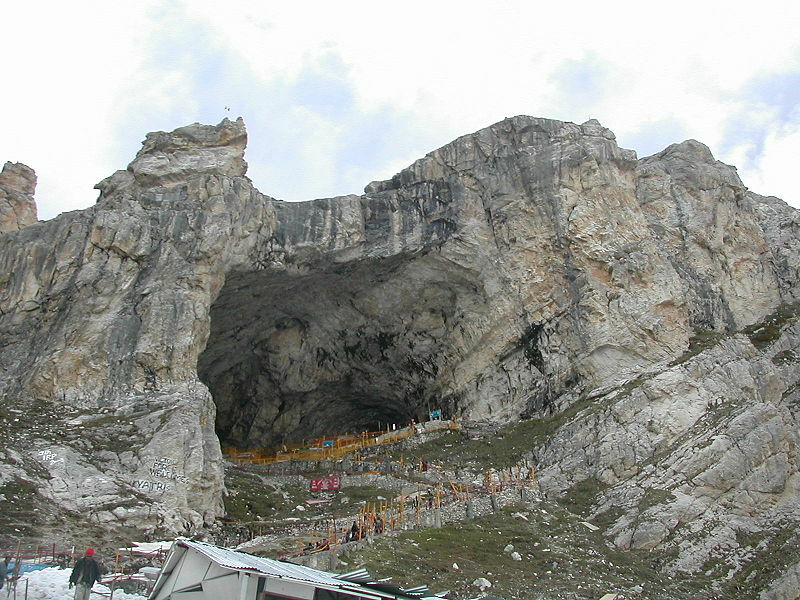 It is famous as the base camp for many treks, the most important being the <b>Amarnath yatra</b>. The Amarnath cave is nearly 50 kms from Pahalgam. A most devout place for the Hindus, who throng to have a glimpse and worship the ice stalagmite which forms a natural Shiva lingam in the Amarnath cave waxing and waning with the moon and appearing only once a year in the month of July- August. 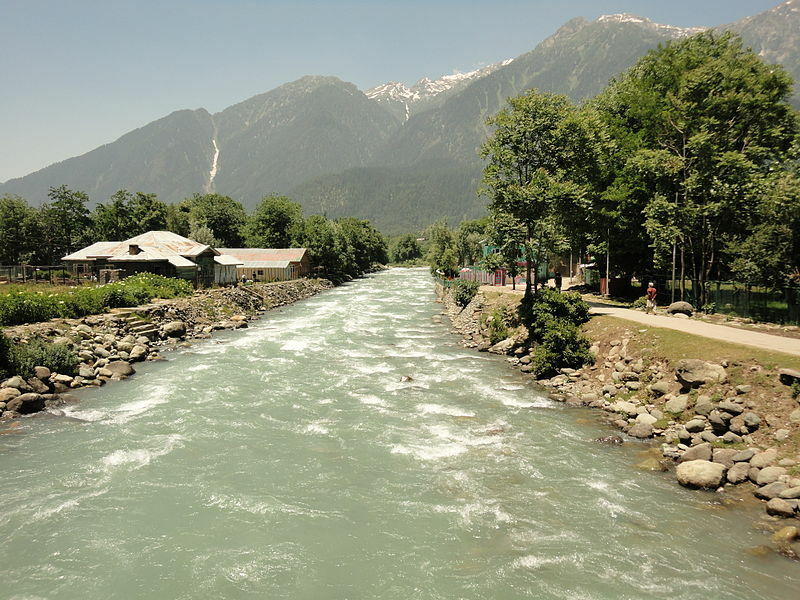 <br />Pahalgam is also famous for its oldest Shiva shrine in one of its villages, the <b>Mamal</b>. The temple is believed to be nearly 1,500 years old.<br />The beautiful camping sites and the pleasant leisure activities like fishing and golfing easily make this as the best resort of Kashmir. The beautiful Sheshnaag lake is another sight to watch. Its greenish blue water is frozen till the month of June.<br />Pahalgam being the valley of shepherds, the woolens of this place are world famous. The <b>Gabbas</b> and the <b>Namdas</b> are the typical woolen products of the people of this area and can be bought locally. Pahalgam, an originally shepherd village, is 96 km east of Srinagar. 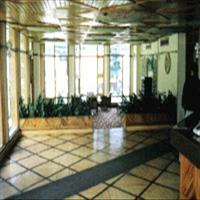 Situated at an altitude of 2130 meters above the sea level, it is located in the valley surrounded by the 12 snow capped peaks and pine forests. 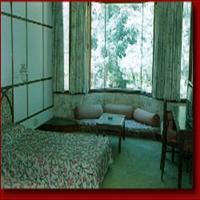 It is located at the meeting point of two rivers, Liddar and Sheshnaag.